The wine world was shocked in November 2012 when a disgruntled former employee entered the Soldera cellar and opened the spigots of all the casks in the cellar. In a few minutes, all of the wines in those casks, vintages 2007-2012, went literally down the drain, causing a loss that goes well beyond anything that can be measured in financial terms. 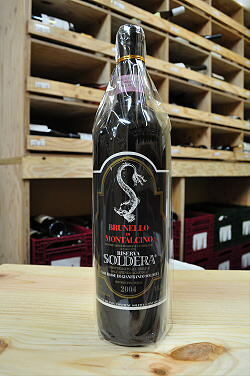 The Soldera Brunellos are by far the most visible, expensive and fervently collected wines of Montalcino. To lose virtually the entire production of these wines would be like six vintages of DRC being destroyed. In other words ? unthinkable. Just a year before, I tasted all of those wines. To think they are gone is utterly heartbreaking. Fortunately, a few wines were not destroyed in the theft, including small amounts of vintages 2007-2012 that were racked into steel at the time of the break-in and a portion of 2006 that had already been bottled. Those wines will be doled out to a lucky few with a teardrop over the coming years. Meanwhile, Gianfranco Soldera, a man of unbreakable determination, is focused on the 2013 season. But the story does not end there. 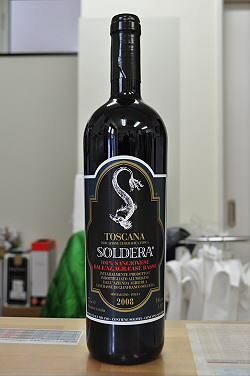 Immediately following the destruction at Case Basse, fellow Brunello producers offered to give Soldera bulk wine, a gesture more of solidarity than anything else, as those producers surely knew Soldera would never have accepted their wines, far less bottled them under his own label, given his highly personal style. Soldera’s terse response to his colleagues’ offer of assistance understandably angered them. 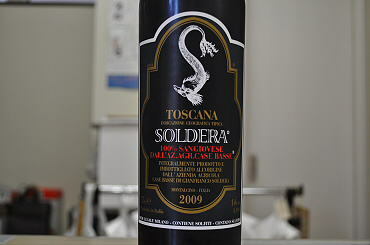 A few weeks ago, Soldera announced he was selling his remaining stock of 2006 Brunello as IGT labeled 100% Sangiovese from the Case Basse estate, while doubling his ex-cellar price. In the meantime, the Consorzio prepared to sue Soldera for libel. Sound like a soap opera? Unfortunately, this public airing of dirty laundry, so typical of Italian culture, is yet another black eye for Montalcino, a region that can’t seem to go more than a few years without some controversy. This action helps no one. The best thing the Consorzio could have done is take the high road and ignore Soldera. Instead, they have given him additional publicity. So, let’s talk wine while the warring factions duke it out. The 2004 Brunello di Montalcino Riserva is another epic wine. 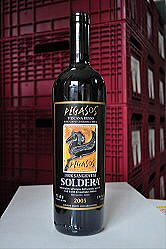 It is remarkably textured and vivid for a young Soldera, with endless layers of fruit. The wine literally explodes on the palate with sweet hard candy, expressive red fruits, licorice, tobacco and mint. Everything is held wonderfully in place by the silkiest of tannins. From start to finish this is a towering effort. The 2004 Riserva is so beautiful it can be enjoyed with no guilt whatsoever today. Readers should note there are three lots of the Riserva in 2004. This is Lot F77, which is made from Intistieti, the vineyard that has yielded virtually all of Soldera’s most legendary bottles. Anticipated maturity: 2014-2034.